Part: # 00211 Size: 16 oz. 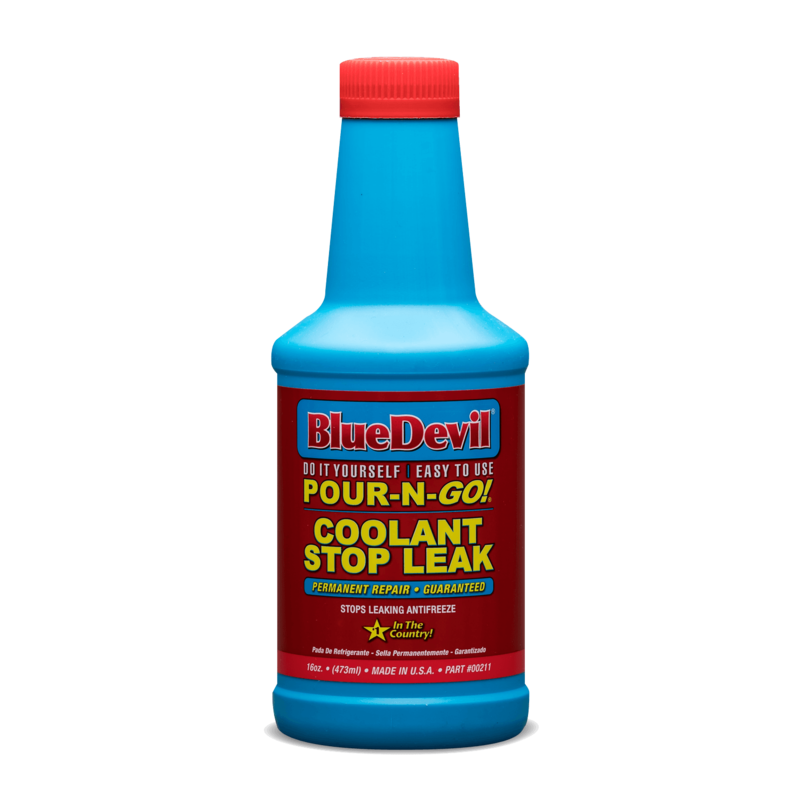 BlueDevil Coolant Stop Leak is an easy to use, do it yourself formula that will seal leaks throughout your vehicles cooling system stopping that antifreeze loss and keep your vehicle in safe operating condition. BlueDevil Coolant Stop Leak is compatible in gasoline and diesel engines, it’s safe for Northstar engines and guaranteed to help seal any leaks in and around your cooling system. 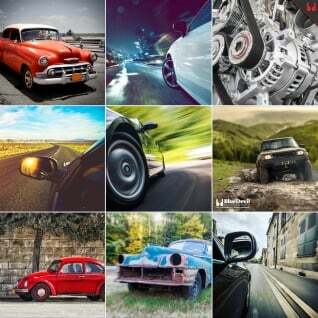 It contains no solid or particulate matter, and will not clog or harm your engine. It bonds to various, different materials such as metal, aluminum, cast, alloy, or plastic. NOTE: Dirty or clogged cooling systems should be chemically flushed before installing BlueDevil Coolant Stop Leak. Allow engine to cool and remove radiator cap. ENGINE MUST BE COLD TO ALLOW THE RADIATOR CAP TO BE SAFELY REMOVED. 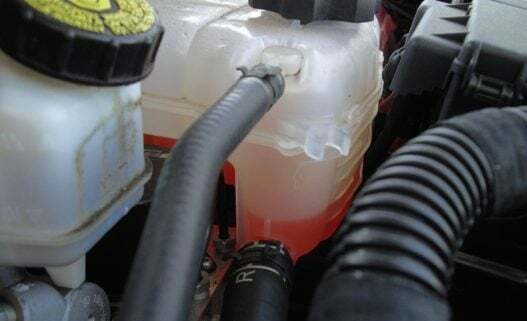 (If the vehicle does not have a radiator cap, with the engine off and cold, disconnect the top radiator hose to add BlueDevil.) DO NOT ADD TO RESERVOIR/OVERFLOW. If the radiator is full, drain enough coolant to allow space for BlueDevil. Start engine, turn heater on max and fan on high. SLOWLY POUR BlueDevil into the radiator. Reinstall radiator cap or reconnect top radiator hose. Let engine idle for 45 minutes with the radiator CAP ON. Shut engine off and allow it to cool for at least 1 hour before driving. Top off cooling system with factory recommended antifreeze. BlueDevil may remain in the system for continued protection. CAUTION! Keep away from children and avoid eye or skin contact. If eyes or skin become irritated, rinse with cold water immediately. If swallowed, drink large volumes of water and consult a physician if discomfort continues. Coolant is Leaking from My Car!! 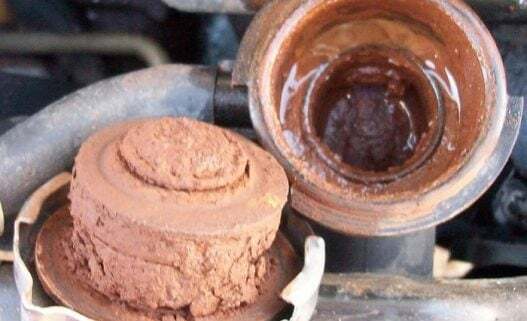 Does My Car Need a Coolant Flush? 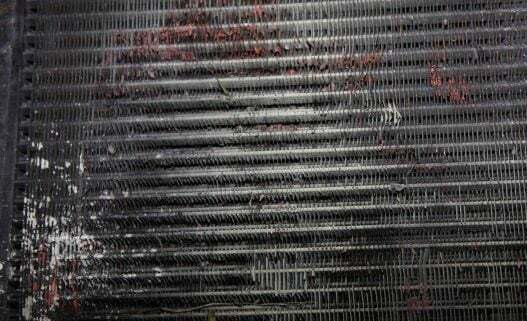 How Can I Clean my Coolant Reservoir?